How did this binding method ever get itself named “perfect”? It has gotten better over the years with the introduction of better adhesives, but the only thing it’s really perfect for is the publisher’s sales — if the book falls apart, you may go out and buy another copy. After the signatures have been gathered the spine fold is ground off, ideally leaving lots of roughness with paper fibers sticking out this way and that. Glue is spread over the roughed-up spine, and then the cover is pressed over the glue, and bingo, after trimming, you’ve got a book. 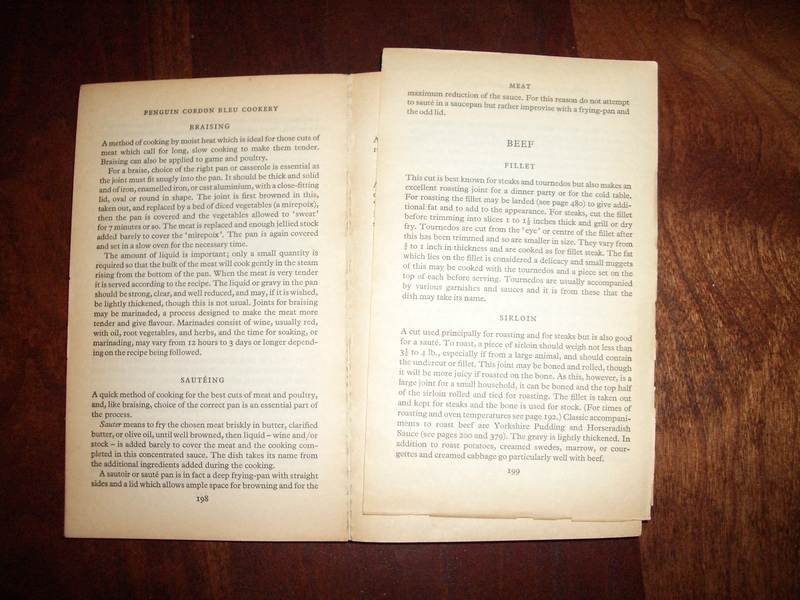 The first photo shows the construction of the book, and illustrates its besetting problem: the glue dries out and the whole thing splits ending up with pages falling out as in this copy of my mother’s favorite, The Penguin Cordon Blue Cookbook (a good one). 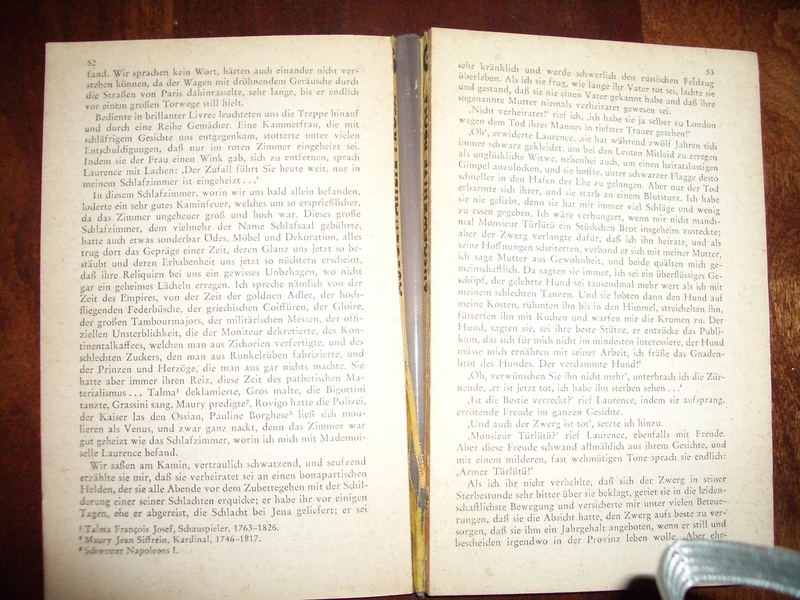 The German book has a cloth strip down the spine — Germans have always cared more than we Anglo-Saxons about the aesthetics of book manufacturing, and the cloth spine is a nice touch, even if it doesn’t end up saving the book from decay. Of course many perfect bound books in the early days were mass market paperbacks, printed on groundwood, acidic paper. The decay of the paper is probably a contributing factor in the binding collapse. Now lots of books (probably a majority) are perfect bound, even if they are hardbacks.